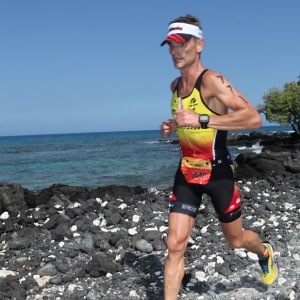 Paul is dedicated to high performance triathlon and endurance sport coaching. Paul works with athletes of all abilities, first-time to advanced-competing in distances from sprint to full Ironman as well as Trail Running. Paul is an expert in bike analysis and training with power, whether remote or local. Paul's goal is to provide athletes with the best coaching and instruction offering customized training solutions starting@$225/month. Please visit www.kinneymultisport.com for more info. Paul Kinney is an IRONMAN Certified Coach, a USA Triathlon Certified Level 1 & Training Peaks Certified Coach and has been training triathletes and duathletes since 2001. He has since expanded his offerings to include cyclists, runners, and swimmers through the creation of Kinney Multisport in 2009. Paul's approach to coaching involves creating a program that maximizes an athlete's available time with focused heart rate and/or power based trainings. Limiting the amount of time spent on unproductive workouts means an individual will progress faster, with fewer injuries, resulting in more time to do the important things in life. For Paul, coaching is about using a combination of science and practical experience to help athletes develop long-term success. All athletes undergo baseline physiology testing, and various objective performance evaluations. Paul pays attention to the numbers that data provides and need good communication and feedback from the athlete to further interpret the data to provide a clear, concise picture of the athlete’s progression. Utilizing analytics is one more way to gain an edge in improving each athlete’s performance. Paul's racing experience is widely varied and includes triathlons, ranging in distance from sprint to full Ironman races, off-road triathlons, duathlons, century rides & bicycle racing. Paul is a former USAT All American & Ironman All World Athlete, an 8-time Ironman & four time 5 pass Death Ride finisher. I only accept athletes that have a willingness to be open minded about their approach to training, where we work together to create the best possible program for the athlete. Success. Coach Paul Kinney has been notified of your message.